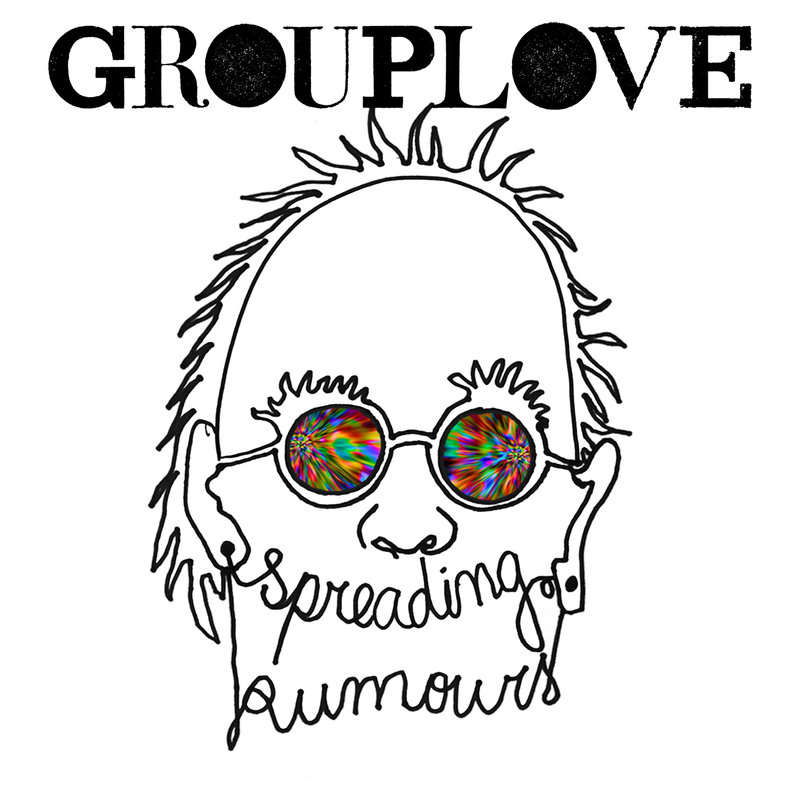 I first met the gang from Grouplove on the sunny beaches of DeLuna Fest in October 2011. I interviewed them under the boardwalk and then watched them from the side of the stage as they melted faces. Afterward they invited me to dinner and beers in the hot tub where we talked about a lot that didn’t really matter to my feature on them, but it was all very interesting. What stands out most from that nearly two year old interview was frontman Christian Zucconi’s infatuation with Kurt Cobain. Now that the LA quintet is about to release their sophomore effort (streaming now on NPR) I can’t help but notice the influences of Cobain on a few of the songs, especially “Borderlines and Aliens.” That’s not to say the beach stoner dance rock from their breakthrough debut isn’t still around (look no further than “Shark Attack”). The album is full of funky tracks that mix grungy riffs with synth-filled hooks. While nothing immediately resonates with me the same way songs from their first album did, their single “Ways To Go” is a solid song that will definitely gain listeners. However, the single isn’t the best song on the album. That honor goes to (for the moment) “What I Know.” It just feels like a solid anthem that mixes the dirtiness of this newer album with the sing-along-ability of the band’s catchier tunes. Another song I really love is “I’m With You.” It’s a great way to begin the album and will probably land a spot on a playlist of mine sooner rather than later. I really enjoy the hook from “Sit Still” and really appreciate the playfulness of the keys and bass floating over the repetitious guitar melody. All in all I really appreciate the record and feel that it will definitely find a spot in my favorites from the year. Check out two music videos (an official one for “Ways To Go” and an animated version of “Borderlines and Aliens”) below.